Suffer from Multiple Chemical Sensitivity? An Infrared Sauna Can Help! 6. symptoms occur in multiple organ systems, now including a neurological effect. In MSC studies, over fifty percent of the cases were caused by exposure to pesticides or volatile organic compounds, such as those released from new building materials, furniture, and carpets. After the exposure, patients find that they are now sensitive to low levels of chemicals that did not bother them before. These are called “triggers.” Some examples of triggers include car exhaust, diesel, air fresheners, paint, newspaper ink, glues, adhesives, fabric softeners and dryer sheets, pesticides, and solvents. Some of these are off-gassed in newly remodeled buildings and homes. For MCS patients, the exposure to triggers can cause mental confusion and difficulty thinking (cognitive impairment), headache, nausea, tremors, fatigue, and other symptoms. People vary in their individual responses. The response can come on within minutes of exposure to a trigger, and can subside once the person is removed from the exposure or remain ongoing. People unaware that they might have MCS should consider investigating it as a cause if they experience unusual fatigue each time they visit a specific building or office, if they react to perfumes or other scents that do not bother people around them, or if they have headaches, respiratory symptoms, and other symptoms that only occur when they are in certain locations or doing specific activities, such as painting. One reason MCS is not better understood is due to efforts by a group of doctors to classify MCS patients as having underlying psychological issues. This idea has been widely studied and now has been discredited for the vast majority of MCS sufferers. New data from laboratory challenge tests with specific triggers have shown that there is a physical basis. 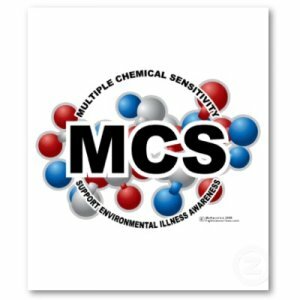 MCS patients show testable physical changes in reaction to chemical triggers. It’s not in their “head” that they’re ill-there is a physical basis. Infrared saunas have been found to be an effective way to detox the body from multiple chemical sensitivity. You can literally sauna your way to health. One of our customers told her story of using a Finnleo Infrared Sauna to detoxify the accumulation of hazardous chemicals in her body in a blog post from October 2009. Read her compelling story.